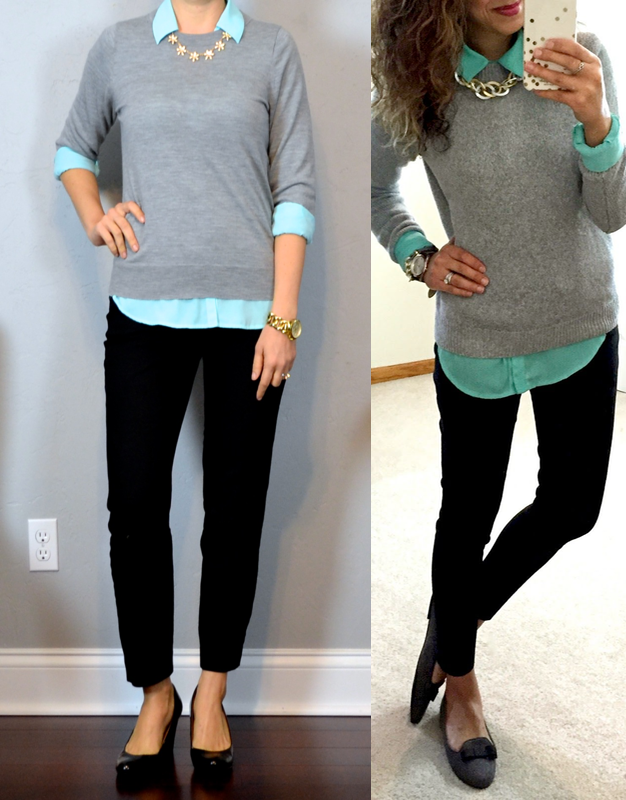 Bright shirt layered under a simple grey sweater inspired by the lovely Yasi at Hello, Gorgeous. She has fantastic sophisticated office appropriate style. 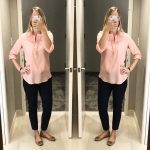 I especially love using her blog as a resource for cold weather work-wear ideas. Super cute. Previous Post: « FIVE Year Blogging Anniversary, Reader Survey & 3 $100 Giftcard Giveaways!